He has done it, all by himself! 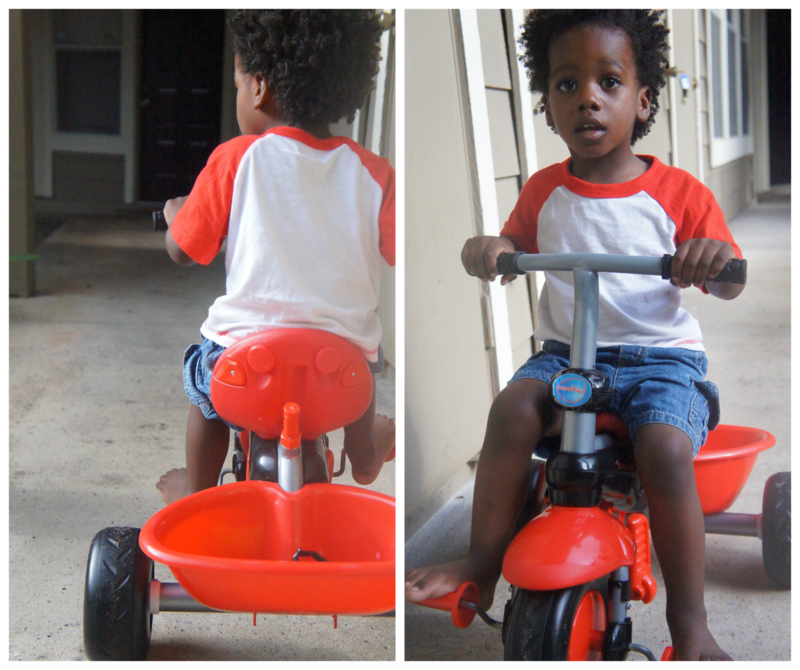 Jaylen is one determined little boy, he always likes doing things on his own so it shouldn't of surprised me when he told me "No mommy let me do it" This bike of his is a smart trike and it transformed from a stroller like thing to a tricycle. He loves his bike and I was just so proud of him that he did it all by himself and told me he could do it. It's a bitter sweet feeling because I always want to help him do and learn new things but sometimes it's best for us to just let go and let them do it alone, because our kids are much wiser than we will ever be.